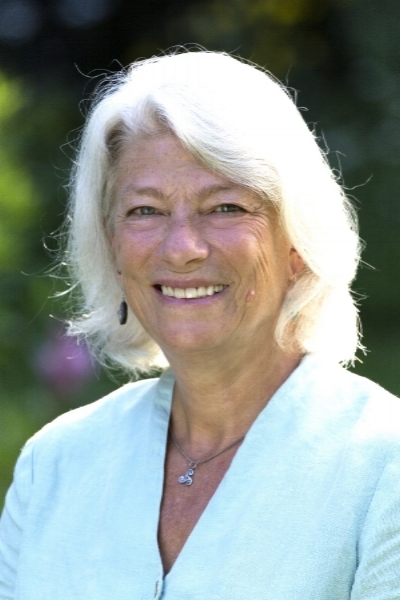 Pam Montgomery is an author, teacher and practitioner who has passionately embraced her role as a spokesperson for the green beings and has been investigating plants/trees and their intelligent spiritual nature for more than three decades. She is the author of two books one of which is the highly acclaimed Plant Spirit Healing; A Guide to Working with Plant Consciousness and Partner Earth; A Spiritual Ecology. She operates the Partner Earth Education Center at Sweetwater Sanctuary in Danby, Vermont where classes, plant research and ceremonies take place. Pam also teaches internationally on plant spirit healing, spiritual ecology and people as Nature Evolutionaries. She is a founding member of United Plant Savers and more recently the Organization of Nature Evolutionaries or O.N.E. Her latest passion is to engage ceremonially in full symbiosis within the plant/human matrix where the elder common plants and trees initiate and guide us into being truly human. Sweetwater Sanctuary is a place where we regularly honor the land, water and all the beings both seen and unseen through prayer, ceremony and offerings seeking to create sacred space for those who find their way here. In this atmosphere not only optimal learning but also deep healing can take place. Your educational experience goes beyond information exchange touching into your heart, soul and spirit for core integration, assimilation, and connection with yourself and nature. We are dedicated to living as sustainably as possible and offer you the opportunity to experience awakening to and engaging with natural rhythms. As we thrive in accordance with the laws of nature we attempt to bring the human gift of loving kindness to all we do enhancing the sense of Sanctuary. Our Mission is to bring awareness to the wider world of our inherent kinship with Nature and how we can live sanely and sustainably with sweet Lady Gaia. We recognize the seen and unseen forces that inform us and seek partnership with the intelligent force of Nature Consciousness. We engage with the Sacred through our heart rejoicing in the ability to thrive within a balanced Spiritual Ecology. We honor the plants and trees and their life-giving qualities while embracing them as symbiotic relatives. We strive to live to our greatest potential by filling ourselves full of our true essential nature while walking our unique path sharing our gifts for the health and happiness of all our relations.